As this year comes to a close, I wanted to take a look back at the Seattle area rental market of 2014. 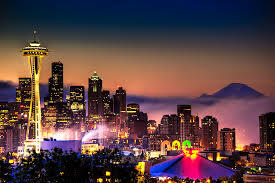 It was quite a year with a very low vacancy rate and an extremely high demand for rentals in the greater Seattle area. January started out unusually busy and stayed that way until just recently. It is typical for a rental slow down in the late fall and winter months of November and December. During the peak season of May through August we saw multiple applicants for a single unit and we were unable to keep up with the demand of potential clients looking for rentals in the city. We took on many new accounts this summer which helped with our inventory as many of our current tenants did not move. Rents continue to rise and that trend should continue into 2015 with the availability low and relocation rates high. There are new buildings being built throughout the city and especially in Ballard. It has not had an impact on the rental market thus far, but everyone is anxiously anticipating what 2015 has in store for Seattle area rentals.